Over a period of time computer stack up lot of folders that actually do not have any file or data. Searching manually and deleting them can be a real big pain. 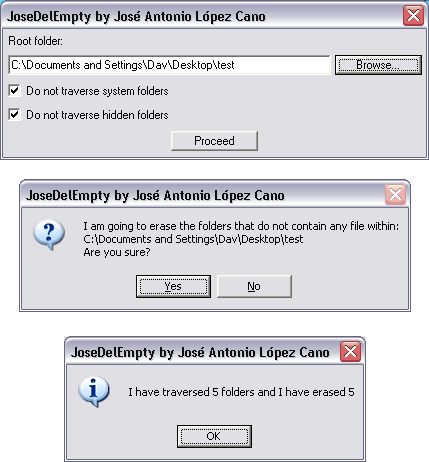 You can automate this process using cool free utility JoseDelEmpty. This program allows you to delete any folder that is empty and is not critical to operating system functioning. Folder Vanity Remover is another similar utility to clean up empty folders junk. It is a portable utility, you can drag drop any folder or drive for checking it to be empty. It automatically deletes folders and sub folders containing no files. After empty folder cleaning, you can perform files cleaning using Clean Drive program. It allows you to auto search and delete files older than specific number of days.